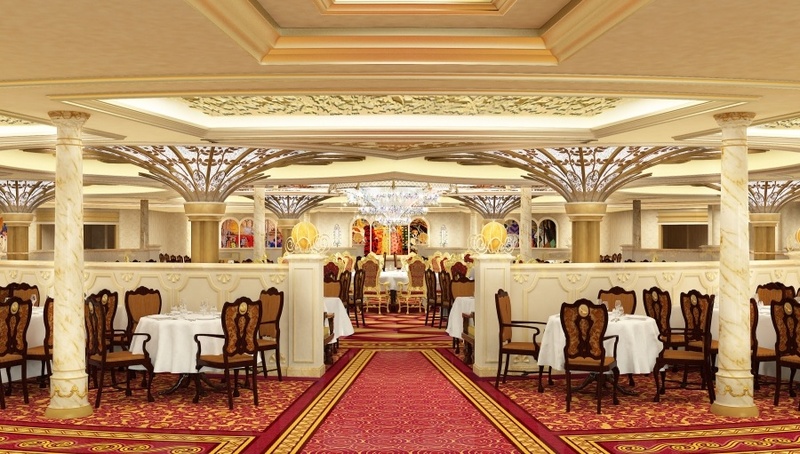 Last week, we announced some of the incredible new details you’ll find aboard the Disney Fantasy when she sets sail in late March 2012. One element we haven’t told you about yet is the atrium lobby. If you’ve sailed with us before, you’re familiar with that fantastic feeling of excitement you get when you board the ship and enter into the lobby. 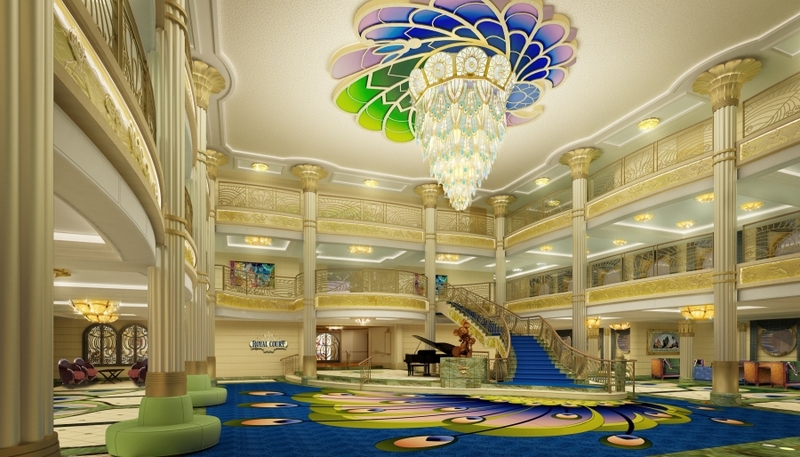 Differing from the Art Deco style of the Disney Dream, the Disney Fantasy lobby is inspired by Art Nouveau patterns – showcasing hues of vibrant blue, green, pink and gold that lend to the overall sophistication of this splendid space. A cascading chandelier made of stained glass and crystal beads illuminates the area from above. I know I can’t wait to step foot onboard, how about you? 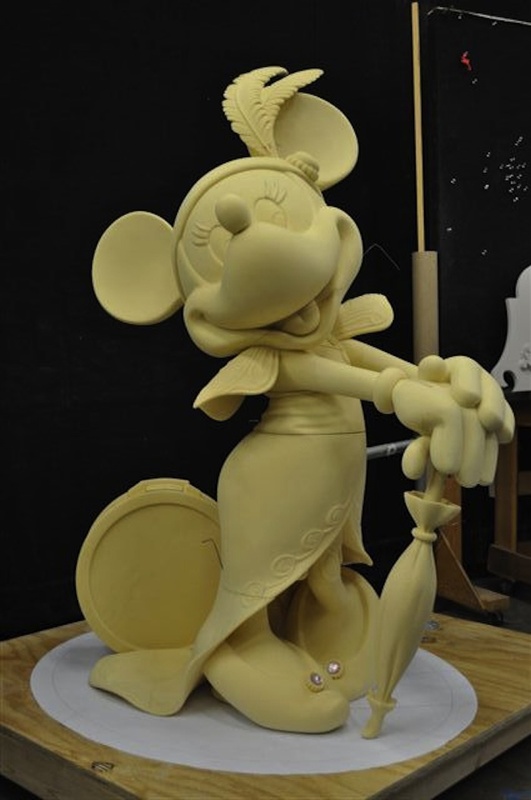 Keep your eye out for even more Disney Fantasy updates soon.